2017 BMW M6 Coupe NAV, BACK-UP CAM, HTD LTH, H/K SYS, BLK 20’S, 9K! 20 IN BLACK M ALLOY WHEELS, CROSS DRILLED ROTORS, FRONT TIRES ARE PIRELLI 265/35ZR/20 WITH APPROX 75% TREAD LIFE REMAINING, REAR TIRES ARE PIRELLI 295/30ZR/20 WITH APPROX 50% TREAD LIFE REMAINING. RUNS AND DRIVES GREAT. 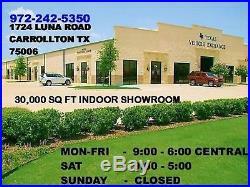 1724 LUNA RD IN CARROLLTON – 2 MILES NORTH OF 635. WE TRY TO DESCRIBE EACH VEHICLE ACCURATELY; HOWEVER, IF YOU HAVE A SPECIFIC QUESTION NOT ADDRESSED IN OUR DESCRIPTION, PLEASE FEEL FREE TO CALL….. M6 Coupe NAV, BACK-UP CAM, HTD LTH, H/K SYS, BLK 20’S, 9K! Engine: 4.4L DOHC V8 32V TwinPower Turbo. City 14 / Highway 20. 2 12V DC Power Outlets. 2 Seatback Storage Pockets. Cargo Area Concealed Storage. Carpet Floor Trim and Carpet Trunk Lid/Rear Cargo Door Trim. Carpet in excellent condition. Cruise Control w/Steering Wheel Controls. Day-Night Auto-Dimming Rearview Mirror. Driver And Passenger Door Bins. Driver And Passenger Visor Vanity Mirrors w/Driver And Passenger Illumination. Dual Zone Front Automatic Air Conditioning. Fixed Rear Head Restraints. Floormats in excellent condition. Front Cigar Lighter(s). Full Carpet Floor Covering -inc: Carpet Front And Rear Floor Mats. Full Floor Console w/Locking Storage and 2 12V DC Power Outlets. Full Simulated Suede Headliner. HVAC -inc: Underseat Ducts and Residual Heat Recirculation. Interior Trim -inc: Carbon Fiber/Metal-Look Instrument Panel Insert, Carbon Fiber Door Panel Insert, Leather/Carbon Fiber Console Insert and Metal-Look Interior Accents. Interior in excellent condition. Leather Door Trim Insert. Leather/Metal-Look Gear Shift Knob. Mobile Hotspot Internet Access. Power 1st Row Windows w/Driver And Passenger 1-Touch Up/Down. Power Fuel Flap Locking Type. Power Tilt/Telescoping Steering Column. Remote Releases -Inc: Power Cargo Access. Seats in excellent condition. Sport Leather Steering Wheel w/Auto Tilt-Away. Black Grille w/Chrome Surround. Black Side Windows Trim. Body-Colored Power Heated Auto Dimming Side Mirrors w/Power Folding. Convertible top in excellent condition. Exterior in excellent condition. Fixed Rear Window w/Defroster. Fully Automatic Aero-Composite Led Low/High Beam Daytime Running Auto-Leveling Directionally Adaptive Auto High-Beam Headlamps w/Washer and Delay-Off. Speed Sensitive Rain Detecting Variable Intermittent Wipers w/Heated Jets. Trunk Rear Cargo Access. Curtain 1st And 2nd Row Airbags. Driver And Passenger Knee Airbag. Dual Stage Driver And Passenger Front Airbags. Dual Stage Driver And Passenger Seat-Mounted Side Airbags. Outboard Front Lap And Shoulder Safety Belts -inc: Pretensioners and Front Seat-Integrated. Tire Specific Low Tire Pressure Warning. 105-Amp/Hr Maintenance-Free Battery w/Run Down Protection. 3.15 Axle Ratio. 5180# Gvwr 930# Maximum Payload. Automatic w/Driver Control Ride Control Sport Tuned Adaptive Suspension. Double Wishbone Front Suspension w/Coil Springs. Dual Stainless Steel Exhaust w/Chrome Tailpipe Finisher. Electro-Mechanical Limited Slip Differential. Engine Auto Stop-Start Feature. 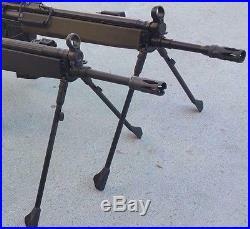 Front And Rear Anti-Roll Bars. Hydraulic Power-Assist Speed-Sensing Steering. Multi-Link Rear Suspension w/Coil Springs. Regenerative 210 Amp Alternator. Regenerative 4-Wheel Disc Brakes w/4-Wheel ABS, Front And Rear Vented Discs, Brake Assist, Hill Hold Control and Electric Parking Brake. 1 LCD Monitor In The Front. Window Grid Diversity Antenna. Aluminum wheels in excellent condition. We offer comprehensive warranties by Endurance and Prime Autocare. Plans are available up to 10 years and 125,000 miles. We offer bank and credit union financing at very competetive rates with approved credit. Direct Bank Wire Transfer, Certified Funds, Institutional Financing. The customer is responsible for registering the vehicle in their home state. WE STRIVE TO ACCURATELY DESCRIBE EACH VEHICLE AND TO GIVE YOU LOTS OF PHOTOS TO VIEW. THESE VEHICLES ARE USED AND YOU SHOULD EXPECT SOME AMOUNT OF WEAR AND TEAR. WE WILL DESCRIBE ANY ISSUES OUT OF THE RANGE OF NORMAL WEAR. PLEASE READ OUR DESCRIPTION CAREFULLY AND VIEW THE PHOTOS CLOSELY. WE PROVIDE THE COMPLETE CARFAX REPORT TO YOU FREE OF CHARGE. MILEAGE MAY VARY SLIGHTLY DUE TO TEST DRIVES BY LOCAL CUSTOMERS. The item “BMW M6 Coupe NAV, BACK-UP CAM, HTD LTH, H/K SYS, BLK 20’S, 9K” is in sale since Thursday, September 20, 2018. 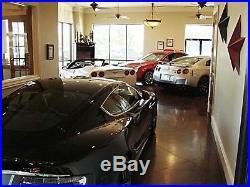 This item is in the category “eBay Motors\Cars & Trucks\BMW\M6″. 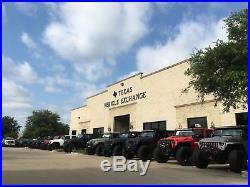 The seller is “tveauto” and is located in Carrollton, Texas. This item can be shipped to United States. Trim: Coupe NAV,BACK-UP CAM,HTD LTH,H/K SYS,BLK 20’S,9K! Sub Model: Coupe NAV,BACK-UP CAM,HTD LTH,H/K SYS,BLK 20’S,9K! Title: 2017 Orange Coupe NAV,BACK-UP CAM,HTD LTH,H/K SYS,BLK 20’S,9K!! SubTitle: 2017 Orange Coupe NAV,BACK-UP CAM,HTD LTH,H/K SYS,BLK 20’S,9K! !